Looking for the ultimate wildlife adventure…? Then let Compass guide you! We will take you on an adventure of the wild like you’ve never had before. Compass invites you see the most beautiful natural places in Tanzania with our courteous knowledgeable Safari professionals. 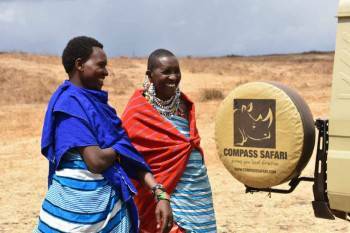 No safaris offered by Compass Safari Tanzania on SafariBookings at the moment. Wilson the best! My family and I did enjoy very much along the trip. Thank you and hope to see you again!